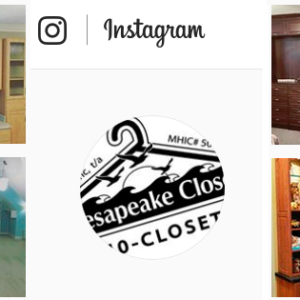 In 1987, Chesapeake Closets was launched with a vision of creating a new kind of storage-and-organization company. We would offer a higher level of service and selection than others, a more personalized approach to solving home storage problems. 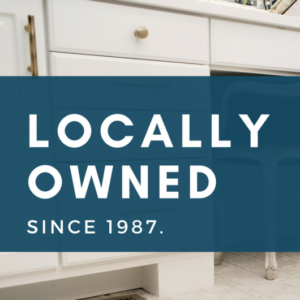 We are proud to say that Chesapeake Closets is locally owned and operated. We are a family business, not a franchise or part of a national chain. We are part of this community and as such we have a special dedication to service. We make our reputation every day by ensuring that our customers are satisfied not just with the end product, but with how they have been treated at every step of the way. The process starts with the free estimate, followed by a 3-D “virtual closet” process that lets you visualize the end product in realistic detail. Finally, we back up our superior pricing with a lifetime warranty and the promise to make lifelong adjustments to your system. Our ability to utilize 3-D computer designs are second to none. In fact, we have led the market in the adoption of these new technologies, which have made dramatic improvements in the process of designing personalized storage and organizational solutions. With a virtual closet, your custom solution comes to life. With Chesapeake Closets, you know just what you are getting before we ever begin the installation process. We are committed to the idea that there are no “hopeless” closets. Maybe you have been living for years with a degree of clutter that you thought could not be solved. 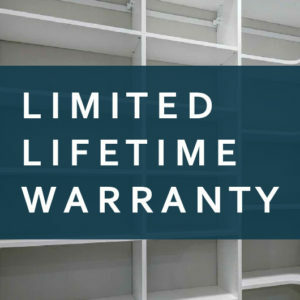 With our free estimates you risk nothing in allowing us to show you how even the most difficult storage areas can be turned into neat and manageable spaces. Every closet or storage area is a unique and individual challenge, just as everyone’s storage needs are different. We approach each project with a fresh eye, superior pricing, and unmatched service in an effort to design a solution that exactly fits the space and the need. In the course of over 30 years we have grown to be the area’s most distinguished custom closet company. The reason for our success? We still take it one closet at a time! Chesapeake Closets’ Founder and President, Steve Black, has been fascinated by designing better storage since he graduated from the University of Maryland in 1979. In his first post college job as a Fortune 500 manager, Steve was responsible for reconfiguring the inventory, storage, and workflow of a manufacturing facility that was experiencing record growth. Steve continued his career in storage when he was hired by another Fortune 500 company, but it was the birth of his daughter and her small closet that would change his career forever. After receiving several poorly designed and overpriced quotes from franchise companies, he decided he could do it better and for a lower price. 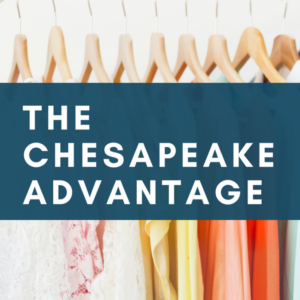 By starting Chesapeake Closets, Steve has been able to do exactly that for over 30 years. Steve is the the proud father of two adult children, and he resides in Baltimore City. Chesapeake Closets Vice-President, Danny Black, was born and raised in Maryland. An Owings Mills native, Danny attended Emory University in Atlanta, Ga. Following jobs with the Atlanta Braves, Danny moved back to Baltimore and worked for the Baltimore Orioles. With the Orioles, Danny was able to manage the world’s largest sports art gallery. This love of art is what attracted Danny to designing closets for the family business. Since 2001 Danny has designed thousands of closets, but to Danny the next closet is always the most important one! Danny currently lives in Towson, MD with his wife, Laura and three children.